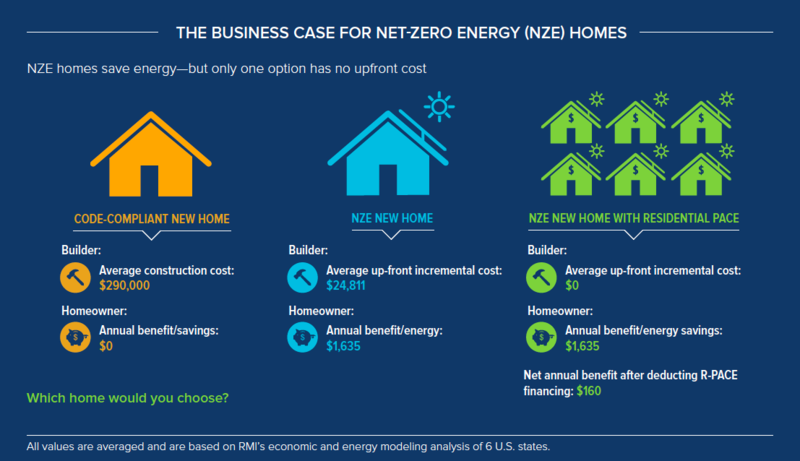 While the market potential and business case for investing in an NZE home is compelling for both the builder and the homeowner, the up-front incremental cost of developing a new NZE home has been the biggest deterrent for builders and developers looking to invest in NZE development to make it mainstream. 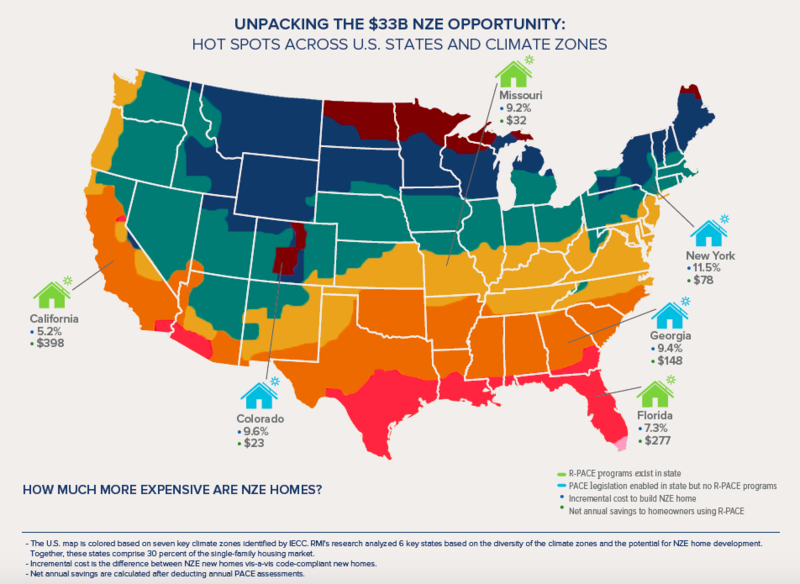 According to Rocky Mountain Institute’s research, the average incremental up-front cost of constructing an NZE home is likely to be $24,811 more than an average code-complian... (excluding the federal investment tax credit and other state-specific incentives). This estimate was derived by analyzing average code-compliant single-family homes across California, Missouri, Florida, New York, Colorado, and Georgia, which collectively comprise almost one-third of the existing single-family housing market. Builders, who control almost three-fourths of this market, have been unwilling to invest their equity up front during the home construction process since they do not directly benefit from the operational cost savings and have no incentive to maximize them. The misaligned builder incentives and weak market signals coupled with the valuation uncertainty of how NZE home energy performance is presently valued by the market players are some of the main reasons for the latent consumer demand for NZE homes. R-PACE can help scale NZE homes at no upfront incremental cost. RMI appeals to states and local governments to work together to enable R-PACE for new construction in their jurisdictions to scale new NZE developments and make a concerted effort to facilitate enabling policy design and stakeholder engagement to support the mechanism. This effort would not only promote innovation and development in the real estate sector, but would also help leverage the abundant solar potential in states, encourage more local job creation, and increase employment overall. This is a win-win market-based solution with a business case for states, local governments, developers, and homebuyers across the country. We believe that R-PACE, when thoughtfully deployed for NZE home construction with robust state-level consumer protection measures, will scale NZE home development and set an example for other states to emulate. If you share this dream, we look forward to working with you. You can reach us at financethefuture@rmi.org to learn more about our work on R-PACE for new construction.